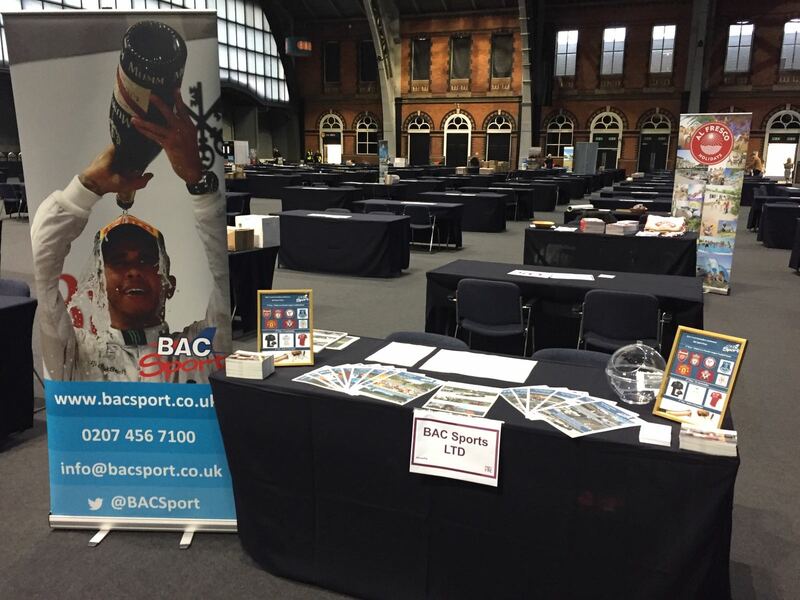 BAC Sport recently attended the annual Travel Counsellors conference up in Manchester. This was the first time we’ve been, and I can honestly say we weren’t disappointed. What is the Travel Counsellors conference? The three-day event brings suppliers and agents together to discuss everything from what’s working well to areas of improvement, company highlights and new developments – and, of course, reward some outstanding individual achievements. Combined with some fantastic entertainment, this really was a weekend to enjoy. After arriving and setting up our stand for the Pow Wow we were invited to attend the partner presentation. It was really interesting to get an insight from Travel Counsellors head office on the last year’s business, and also the future marketing developments that are soon to be implemented. It was exciting to see what marketing opportunities we can get involved with, and how we can collectively target Travel Counsellors clients. After arriving for the drinks reception looking like drowned rats (good old Manchester weather) we dried off and enjoyed chatting to Travel Counsellors and suppliers. Having not noticed the slow movement of people towards the dinner hall we were taken aback at the sudden rush of people flocking through the doors as they opened. 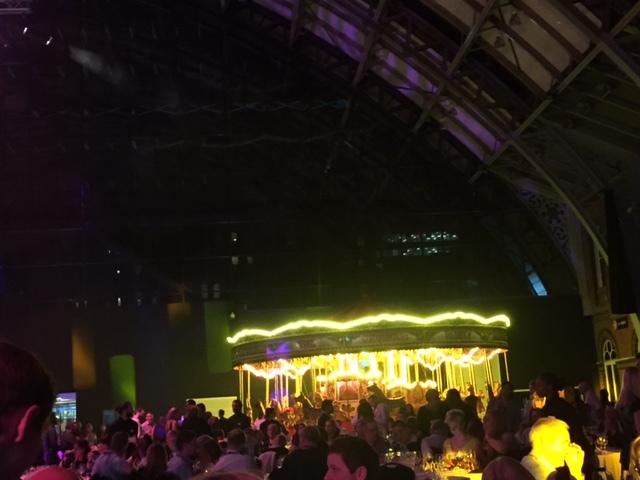 This was a massive surprise – the evening reception was decorated like a fairground, carousel and all. A voice came from the back of the room, and there was the host for the weekend – Vernon Kay. 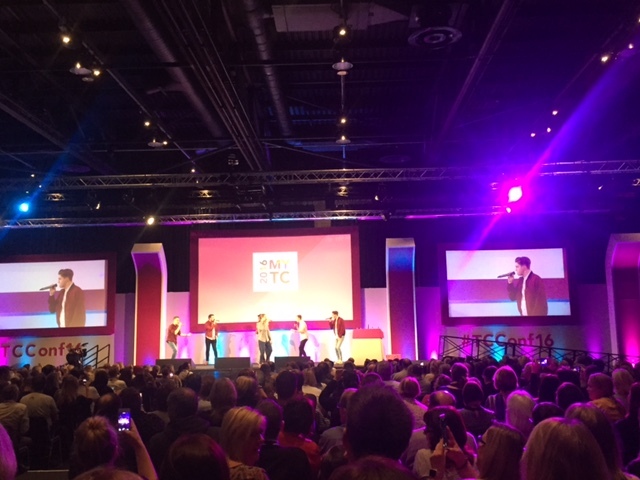 After a full-on evening of entertainment and a chance to make first introductions to the Travel Counsellors agents, the conference got underway. One of the best things about the Travel Counsellors conference is that throughout the weekend suppliers are invited to sit in on the Travel Counsellors conference sessions. Now don’t get me wrong, when we were told the sessions started at 8:30 on Saturday morning, after the previous night’s entertainment I thought it was going to be difficult. However, this wasn’t the case, and with a surprise a capella group waking everyone up the morning, the sessions got off to a good start. We really enjoyed listening to all the guest speakers, and it was great to get some important tips and take inspiration on how to make improvements in our own company. You never stop learning! Having set up our stand, we were ready to chat to as many Travel Counsellors as possible. We finally had the chance to put faces to the names of all those we’d spoken to over the past two years. We also met a lot of new agents that hadn’t necessarily given much thought to offering packages to sports events. Some were really enthusiastic about promoting sports packages to their clients. Whether for business or leisure, we discussed several ways agents can engage with their clients and fulfil requests they might previously not have thought possible. Overall it was a big success, and we can’t wait to work together in the future. Words cannot describe the gala dinner. The night before, the space had been a jolly day out at the fairground. 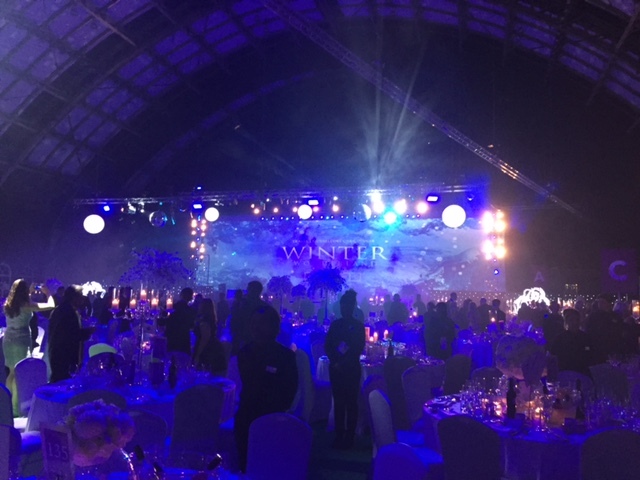 Now it had been turned into an amazing winter wonderland, complete with sleigh and sparkles everywhere. Another chance to mingle with Travel Counsellors and suppliers, it was the perfect setting for a networking dinner. The focal point of the night was the celebration of individual Travel Counsellors’ achievements over the past year. These awards were amazing to hear, and congratulations and celebrations were definitely in order. To finish the evening, the rumour mill had been churning all weekend for the finale surprise act…which turned out to be none other than Ronan Keating, performing some of his amazing greatest hits, including Rollercoaster! During the weekend we ran a prize draw, giving Travel Counsellors the chance to win three prizes: a bottle of champagne, some F1 merchandise and two tickets to a Premier League game of their choice. 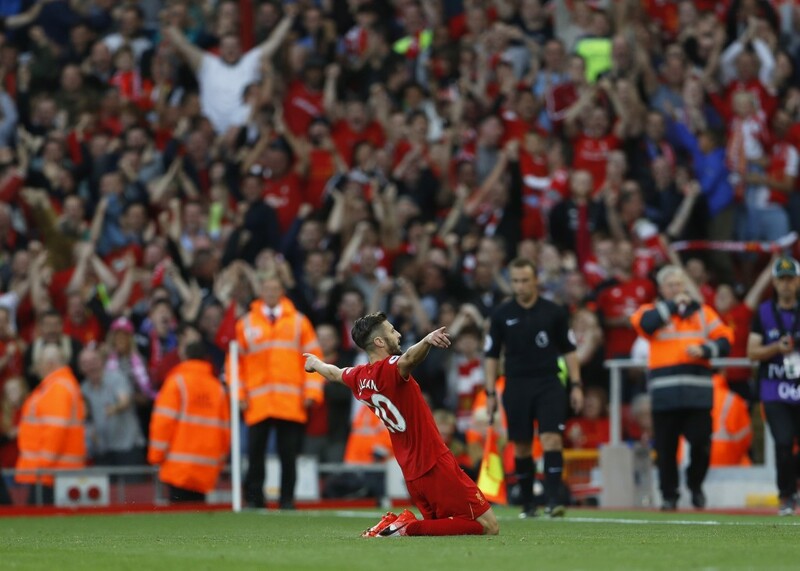 Our lucky winner of the Premier League tickets will enjoy attending the Liverpool v Burnley game on 12 March. The Travel Counsellors conference is as much for the supplier as it is for the agent. We all work together on a daily basis and thus the emphasis is placed on how we can all help each other to implement strategies that promote best practice. The easier we can work together the more profitable all our businesses can be, whilst not forgetting the core purpose of delivering customer satisfaction and, importantly, generating repeat business. We are happy to continue developing our partnership with Travel Counsellors and providing the most exciting tailor-made sports packages to their clients.